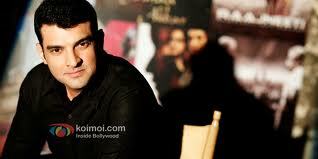 Mumbai, April 12 (IANS) The month of April is exciting for Siddharth Roy Kapoor as both his actor brothers have got releases this month. Kunal Roy Kapoor's "Nautanki Saala! ", directed by Rohan Sippy, has already released Friday, while Aditya Roy Kapoor's "Aashiqui 2" is slated for April 26 opening. "It is great. It's really an exciting month as both my brothers have got releases. So, its great and very very exciting," Siddharth, managing director, Studios, Disney UTV, said at the premiere of "Nautanki Saala!" here. Siddharth was accompanied by his wife and actress Vidya Balan. When asked when is she planning to get Siddharth into acting, Vidya said: "Siddharth has done theatre for many years, so there are three actors and one actress in his family." Adding to this, on a lighter note Siddharth said: "Every producer has to do acting every day in real life, so I am playing that part every day."